Consideration should be given to the company’s investment in accounts receivable since there is an opportunity cost associated with holding receivable balances. The major decision regarding accounts receivable is the determination of the amount and terms of credit to extend to customers. 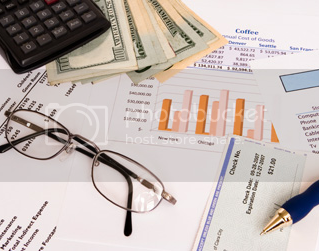 The credit terms offered have a direct bearing on the associated costs and revenue to be generated from receivables. For example, if credit terms are tight, there will be less of an investment in accounts receivable and less bad debt losses, but there will also be lower sales and reduced profits. In evaluating a potential customer’s ability to pay, consideration should be given to the firm’s integrity, financial soundness, collateral to be pledged, and current economic conditions. Through some case examples, this post provides management and decision making techniques for Account Receivables. Enjoy! A customer’s credit soundness may be evaluated through quantitative techniques such as regression analysis. Such techniques are most useful when a large number of small customers are involved. Bad debt losses can be estimated reliably when a company sells to many customers and when its credit policies have not changed for a long period of time. The collection period for accounts receivable partly depends on the firm’s credit policy and economic conditions, such as a recessionary environment, a period of limited or tight credit, or both. A detailed review of a potential customer’s soundness should be made prior to extending credit. Procedures such as a careful review of the customer’s financial statements and credit rating, as well as a review of financial service reports. As customer financial health changes, credit limits should be revised. Marketing factors must be noted since an excessively restricted credit policy will lead to lost sales. If seasonal datings are used, the firm may offer more liberal payments than usual during slow periods in order to stimulate business by selling to customers who are unable to pay until later in the season. This policy is financially appropriate when the return on the additional sales plus the lowering in inventory costs is greater than the incremental cost associated with the additional investment in accounts receivable. Customer statements should be sent within 1 day subsequent to the close of the period. Large sales should be billed immediately. Customers should be invoiced for goods when the order is processed rather than when it is shipped. Billing for services should be done on an interim basis or immediately prior to the actual services. The billing process will be more uniform if cycle billing is employed. Accounts receivable should be aged in order to identify delinquent and high-risk customers. The aging should be compared to industry norms. Collection efforts should be undertaken at the very first sign of customer financial unsoundness. (b) the average investment in accounts receivable? It pays for a firm to give a discount for early payment by customers when the return on the funds received early is greater than the cost of the discount. Lie Dharma proposes to offer a 3/10, net/30 discount. The corporation anticipates 25 percent of its customers will take advantage of the discount. As a result of the discount policy, the collection period will be reduced to 1.5 months. Should Lie Dharma offer the new terms? A firm may consider offering credit to customers with a higher-than-normal risk rating. Here, the profitability on additional sales generated must be compared with the amount of additional bad debts expected, higher investing and collection costs, and the opportunity cost of tying up funds in receivables for a longer period of time. When idle capacity exists, the additional profitability represents the incremental contribution margin (sales less variable costs) since fixed costs remain the same. The incremental investment in receivables represents the average accounts receivable multiplied by the ratio of per-unit cost to selling price. Sales will increase by 20 percent. Collection period will go to 3 months. Bad debt losses are expected to be 3 percent of the increased sales. Collection costs are expected to increase by $20,000. Will relaxing the credit policy benefit the company? Note: (y) Since idle capacity exists, the per-unit cost on the incremental sales is solely the variable cost of $50. Conclusion: Since the net advantage is considerable, Dharma Putra Corporation should relax its credit policy. Conclusion: Lie Dharma Putra Corporation would benefit from a more liberal credit policy.